Have you heard about Robust? Have you heard about the phrase "be a man"? We heard the phrase “be a man” too many times at the gym or sports arena but how can one actually start acting like a man. Is it by toughening up? Or holding back a cry? Society has forgotten men has feelings too. ATC Healthcare has been a trusted life ally for everyone, but this product particularly caters to real men. Being a man is being able to break through the social norm, and being true to himself and his own limitations. Gain back the confidence you had with Robust Extreme dietary supplement for men. Robust Extreme is safe and effective as it contains 100% all natural ingredients. Robust Extreme helps boost a man’s sexual experience while giving him a powerful and long lasting erection. People won’t admit it, but with Robust Extreme he could redefine the way he sees himself in a relationship with all the sensibilities that goes with it. 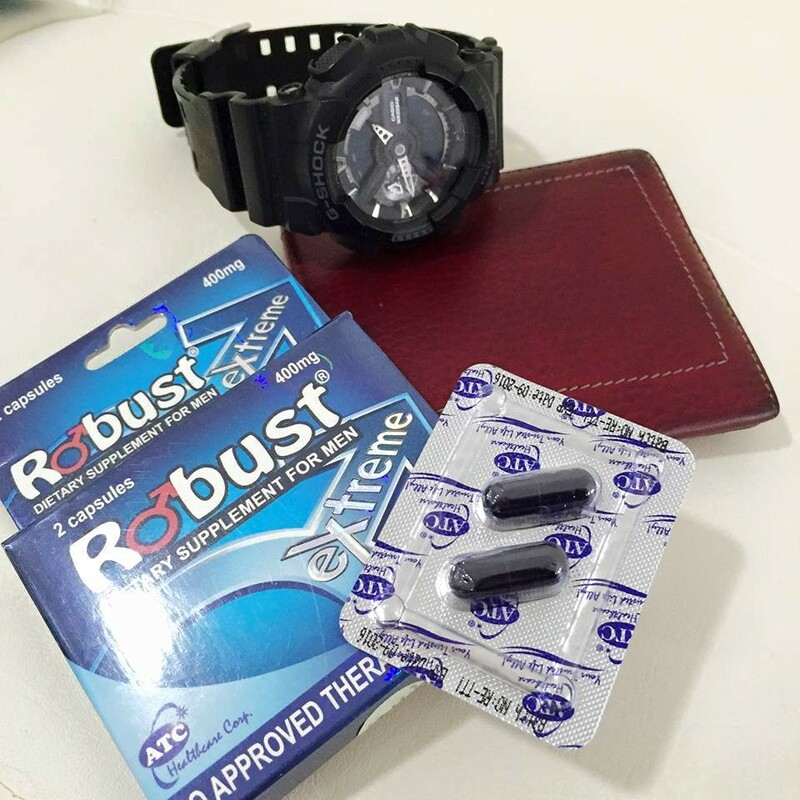 Robust Extreme is priced at P125.00 per capsule and is available in all leading drugstores nationwide. To ensure effectivity, don’t drink alcohol. Robust Extreme is recommended to be taken one capsule two hours before intimate activity, best taken with warm water and an empty stomach.